H ere are the cold hard facts about polished concrete. Polished concrete floors are known for there superior durability, however, they are not impervious to staining, scratches or chips. This is a finished floor system, and must be treated as such. 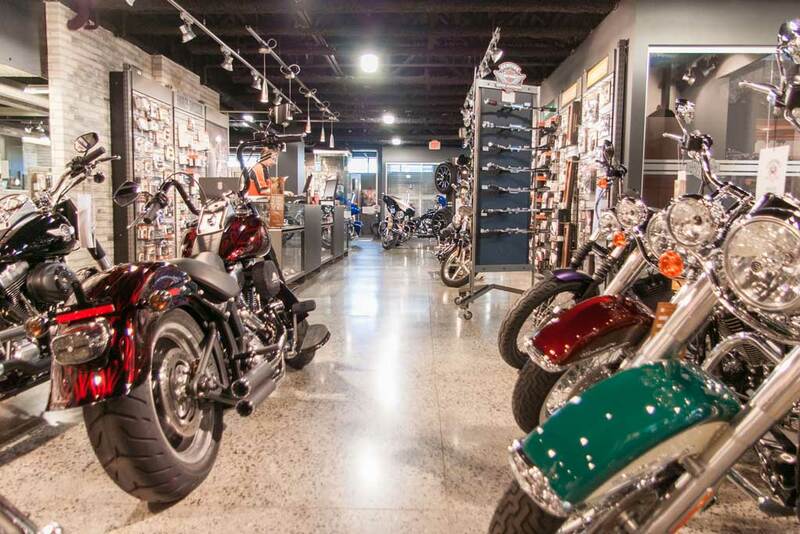 It is imperative that a polished concrete floor be kept clean. Although it is an extremely durable surface, dirt, sand and other contaminants, will act as a sandpaper by abrading the polish over time. Floor mats placed at entrances help minimize the tracking of contaminants onto the surface; these mats should be maintained and kept clean. Using concrete with a low water-cement ratio and not adding excess water at the jobsite will help to keep shrinkage in check. Acidic spills (i.e. orange juice and milk) will etch the surface of the polished floor if they are left on the surface for a excessive period of time. Penetrating spills attach to the concrete pores and leave a dark discoloured spot. Both types of stains can be minimized if cleaned in a timely manner. Acid rain can potentially etch a polished floor, therefore floor mats, again, are an ideal addition to your functional decor. The cleaning schedule for each establishment will vary depending on the amount of foot traffic over the floor. We provide the following as a basic guideline to help you understand how you will best care for your polished concrete floor after it's installation. We absolutely DO NOT apply sealers or waxes. • Dust mop floors daily with a untreated micro fiber dry mop. Wet mop floors with a neutral ph cleaner at least one time per week, though establishments with heavy traffic should wet mop more often. 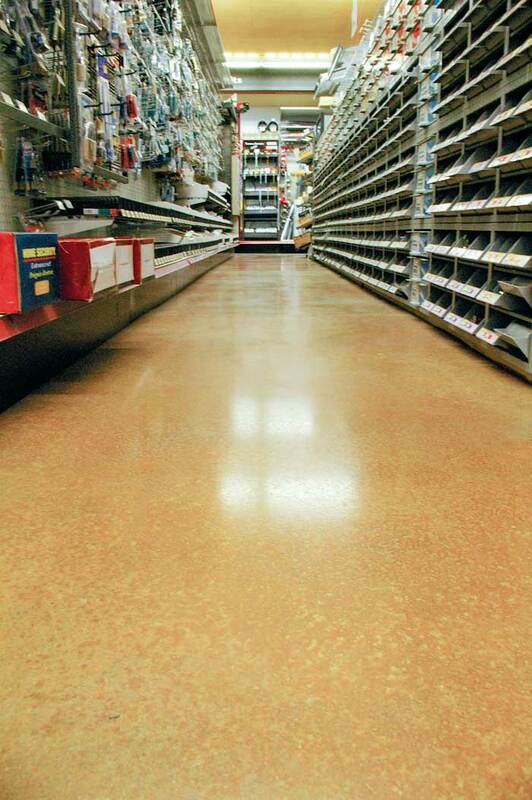 Abrasive cleaners will etch the surface of your polished concrete floor. Avoid peroxide based cleaners. • Large commercial floors should use a auto scrubber outfitted with white buffing pads to clean the floor. Twister™ Pads are recommended with high speed burnishers. • If your polished floor loses its shine due to improper cleaning, high traffic volumes, or other circumstances, we can re-polish or burnish your floor to bring it back to the original shine. Call our office for a review of your floor and learn what recommendation would best fit your needs!